Armament one single 5" gun mount, two single 3" gun mounts one twin 40mm AA gun mount. 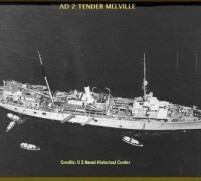 In April 1944 Saturn was reclassified as a store ship and given the designation AF-40. Following conversion work at the Norfolk Navy Yard, Virginia, in September 1944 she resumed operations with a voyage to the Mediterranean. 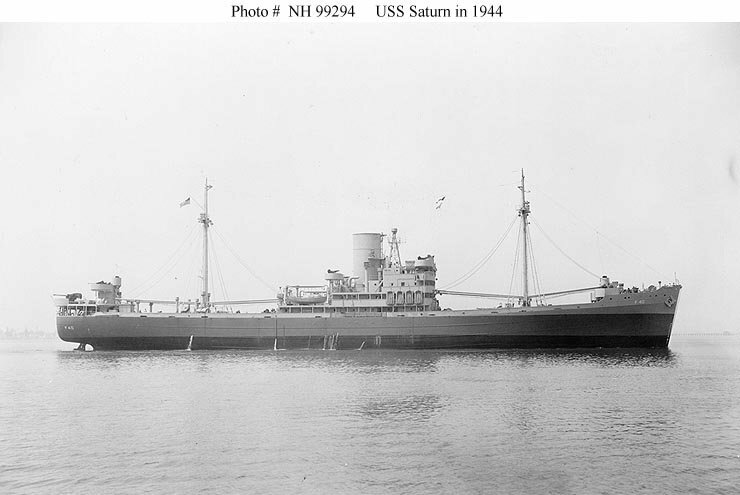 During the rest of her active career Saturn made trips to Iceland, the Caribbean and along the Atlantic Coast, carrying foodstuffs and other supplies to U.S. bases and to ships at sea. Decommissioned in July 1946, she was turned over to the War Shipping Administration and laid up at Lee Hall, Virginia. Saturn remained in the Maritime Administration's reserve fleet until September 1972, when she was sold for scrapping. She was delivered to her new owner in December of that year and subsequently broken up in Spain.